JNTUH 3-1 Time Table 2019: JNTUH B.Tech 3-1 Sem (R16,R15,R13,R09) Supply Exam Time Tables May/June 2019, JNTU Hyderabad III Year I Sem end examinations time tables 2019. JNTU Hyderabad has released B.Tech 3-1 Semester R16, R15, R13, R09 Supplementary Examination Time Tables May/June 2019. 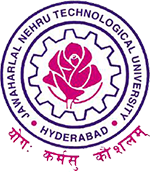 Jawaharlal Nehru Technological University, Hyderabad is a public university, located in Hyderabad, Telangana, India, and one of the India’s leading educational universities focusing on engineering. Note: (i) any omissions or clashes in this time table may please be informed to the controller of examinations immediately. The candidates who are searching for JNTUH 3-1 sem Time Table 2019 you will need to visit the Official website: jntuh.ac.in or click on the above links.